Lombok Island is the rising star in Indonesian tourism. While it’s true that it is growing in popularity, it’s still nowhere near as popular as its neighbor – Bali. Lombok has a lot to offer to visitors. In fact, in some ways, Lombok is a better holiday destination than Bali. Less traffic and nicer beaches are a few quick examples. 1. It has better beaches than Bali. This may be a bold statement but it’s true regardless of what the travel agents will tell you. I’m not saying that Bali is not a worthy destination, but don’t visit Bali thinking you are going to find empty, pristine white sand beaches. Lombok Island’s beaches have powdery white sand and clear turquoise water. Some of nicest ones have very little infrastructure and few visitors particularly along the Southern coast of the island. 2. 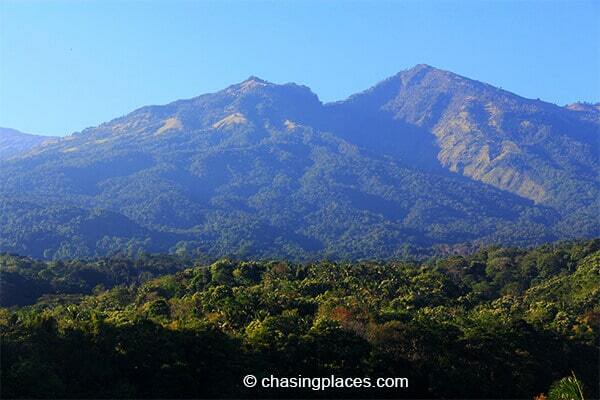 Lombok is home to Mount Rinjani, the second highest volcano in Indonesia. Lombok is a perfect destination for outdoor enthusiasts and avid mountain climbers. Aside from Rinjani, North and Central Lombok are magnificent with their rice terraces, forests and lush valleys. 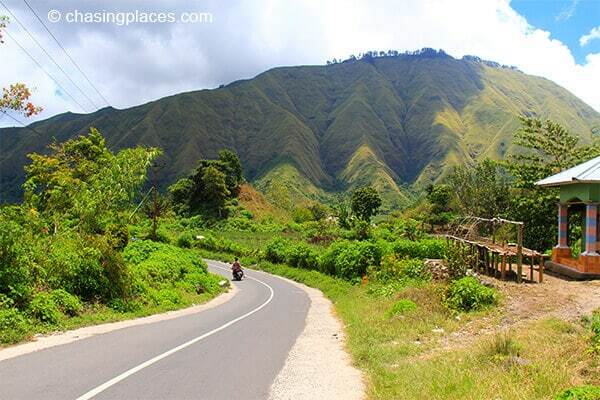 The towns of Senaru and Sembalun located along the foothills of Mount Rinjani are absolutely stunning. They are both used as gateway towns for trekking Rinjani. You can book a Rinjani trekking trip online, but you can also visit Senaru and Sembalun on your own and arrange the mountain climbing yourself when you’re there. Not into trekking peaks? Me neither. But I still enjoyed my time in these northern areas of Lombok because of their incredible beauty. 3. It is near Bali. Lombok and Bali are both located in the Lombok Strait. You can easily take a public ferry to Lombok’s Lembar Port from Bali’s Padang Bai Harbor. The journey time is around 4 to 5 hours. If this trip is too long for you, take a 30-minute flight from Bali’s Denpasar Airport to Lombok International Airport in Praya. Thus, if you are already going to Bali, taking a side trip to Lombok is not really hard to arrange. 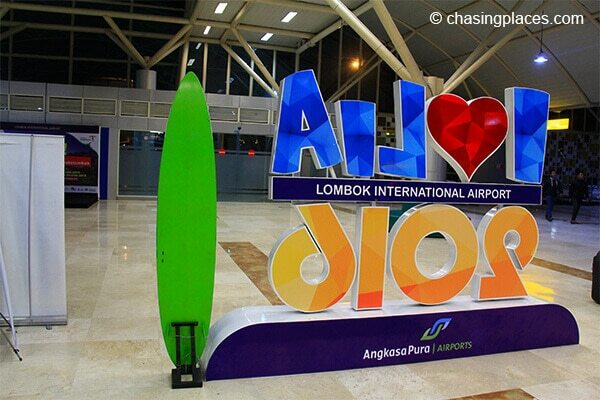 All commercial flights to Lombok now land at the new Lombok International Airport (Bandara Internasional Lombok). The airport is big enough to facilitate frequent flights not only from Indonesian cities like Surabaya, Makassar, and Jakarta but also from Kuala Lumpur and Singapore. Lombok International Airport is located in South Lombok, so it’s expected that this part of the island will have more development in terms of roads and infrastructure over the years to come. 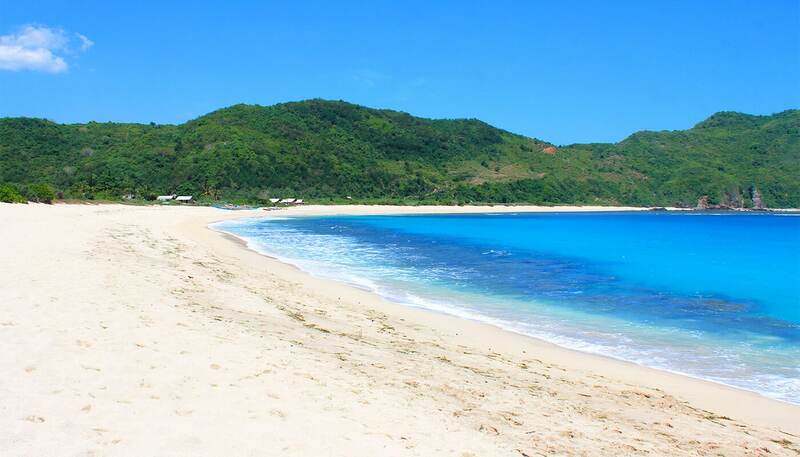 South Lombok is also home to some of the most beautiful beaches on the island. The coastal town of Kuta is popular among visitors because of its proximity to the airport, beaches, and its decent tourist infrastructure. If you are thinking of visiting Lombok, we definitely recommend that you stay in this area even for a couple of days. Buses are present in Lombok but their routes are limited only to main towns. The bus fare is very cheap, but it’s difficult to become familiar with their schedule if you can’t speak Bahasa Indonesia. If you want the freedom and flexibility to explore various beaches and other attractions, the best way is to rent a car or motorcycle. 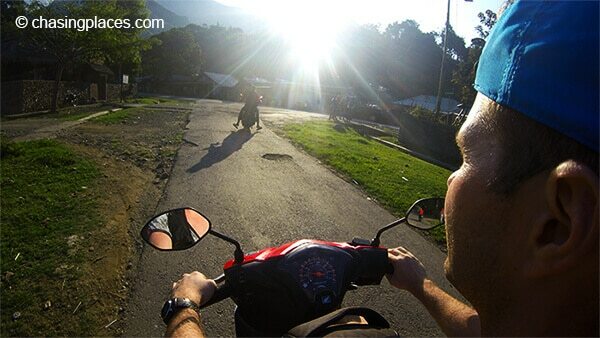 Take note that rented motorcycles typically are not taken out of their region. For example, if you rent a motorcycle in South Lombok, you are not allowed to drive it to Central and Northern Lombok, unless you specifically ask permission from the owner. Lombok roads are tricky to drive on. A lot of them are “zig-zags” or carved around valleys. If you plan to drive a motorcycle, you need to be extra careful. On the other hand, driving a car in Lombok is less stressful because most of the roads are generally well-paved and rarely get clogged except those in the capital Mataram. One important reminder though is that the roads going from the Northern towns of Sembalun or Senaru to the South are very undulating and tricky. If you would like to use this route, I suggest that you hire an experienced local driver to take you. This is what we did and it worked well for us. You can arrange a drive with your hotel. The landscape is just stunning! Lombok and the Gili Islands are so close to each other, that they are often clustered as one destination. Don’t get me wrong Lombok is magnificent enough to explore on its own. 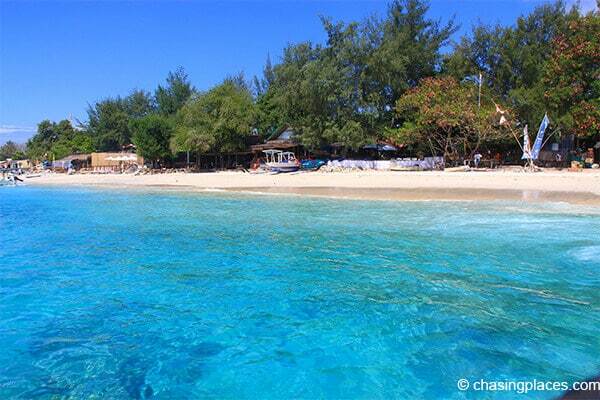 But the Gili Islands are so close to Lombok that most travelers usually visit the Gili Islands for a couple of days of fun in the sun and a few wild nights. 9. The best time to visit Lombok is from April to October. This period is commonly referred to as the dry season or summer in Lombok. Rainy season is usually from October to March. However, during Christmas and New Year, the island gets busier with hotels and other accommodation options charging more than normal rates. Lombok is a Muslim-populated island, but locals here are moderate and very tolerant. During the fasting month of Ramadan, most restaurants in the capital Mataram close during the day. But if you are staying in Kuta or along the southern coast of Lombok, you will still find restaurants open for business. 10. You Can Explore Lombok Island on your own. 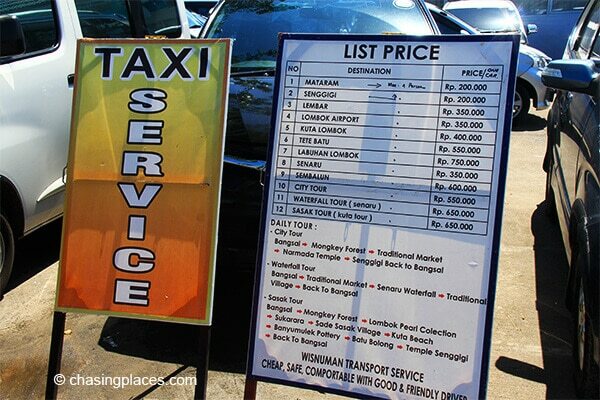 Lombok may be less touristy than Bali and many may argue that it is not as convenient. But it’s very much possible to travel Lombok on your own, without having the need to book a travel agent to arrange things for you. Planning the trip on your own can save you a lot of money, which you can use to enjoy better meals and nicer rooms.